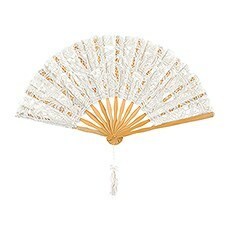 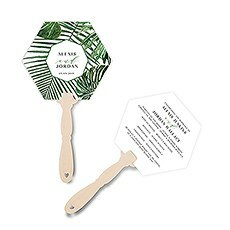 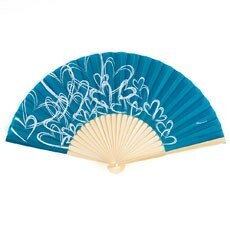 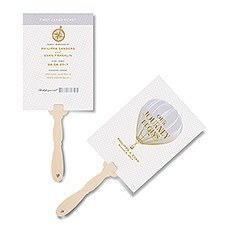 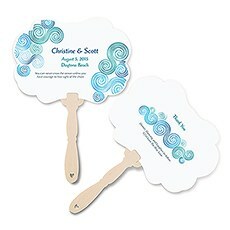 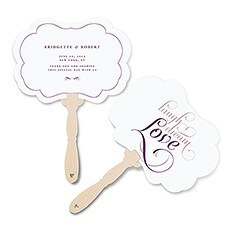 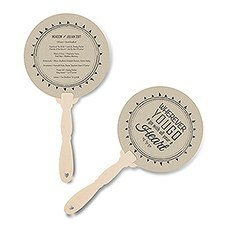 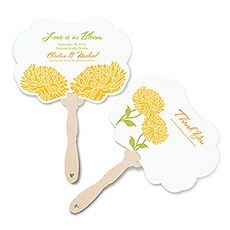 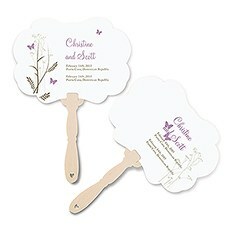 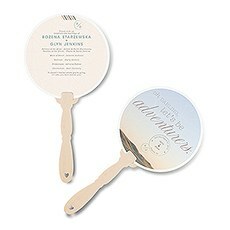 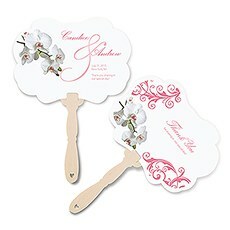 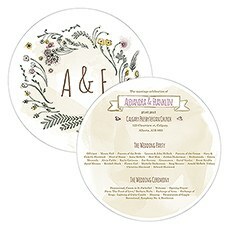 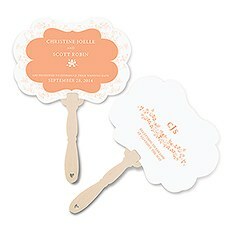 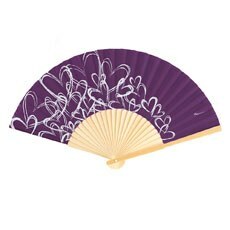 For summer weddings or fun photo props, wedding fans can bring some flirty fun and practical style to your wedding. 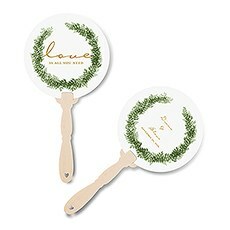 If you're looking for personalized fan favors or other types of wedding fans, The Knot Shop carries a large selection in a variety of styles to go with the rest of your decor. 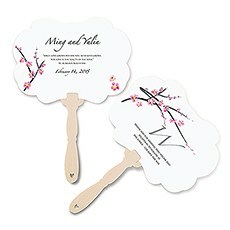 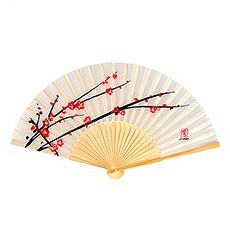 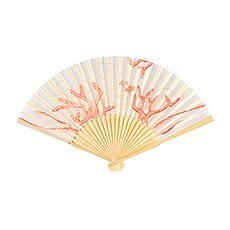 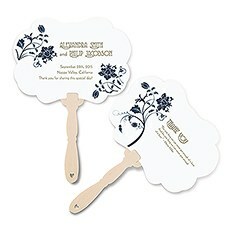 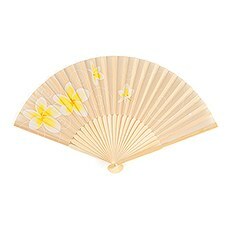 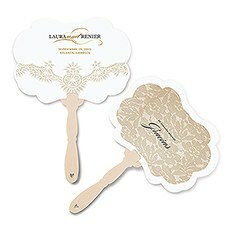 Our wedding hand fans come in many unique materials and styles, including silk, lace and paper. 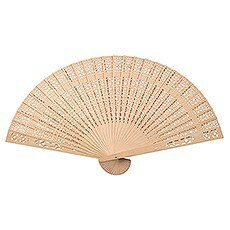 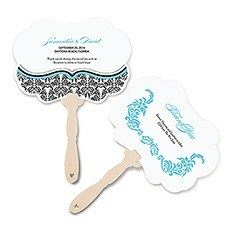 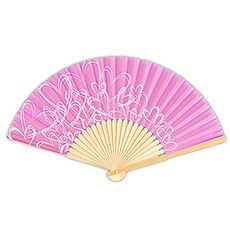 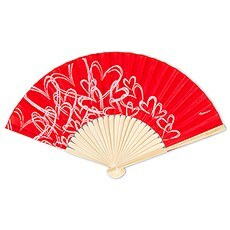 From our ultra-popular personalized paper fans in tons of themes and colors to our endlessly elegant lace hand fans that are a must for snapping photos, you'll find a wedding fan in our assortment that's totally you.Shop silk folding hand fans for weddings during the summer months that will bring a modern, colorful look to your bridesmaids' ensembles, or to hand out to guests as they take their seats. 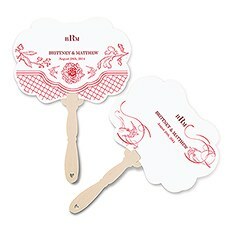 If you're looking for something a bit more traditional, we also carry lace folding wedding fans in soft, neutral shades that look beautiful against dresses in matching colors.For something a bit more fun and customizable, you'll also find double-sided personalized wedding fans that you can decorate with your names, the date of your wedding and even a witty message for your guests. 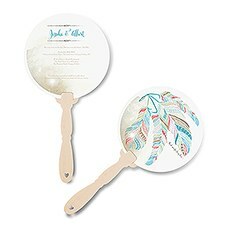 Use our personalized fans for weddings of all themes - from open-air, boho affairs to strictly summery nuptials - so that everyone's cool and comfortable. 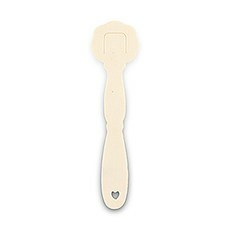 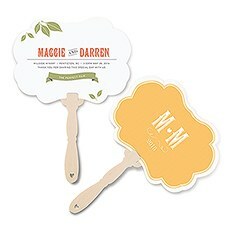 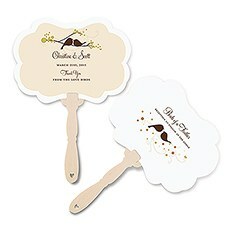 Hand out personalized fans for wedding ceremonies and then let guests take them home for a super-sweet favor!